A few days ago, Xiaomi officially announced the annual flagship new product, Xiaomi Mi Router Mesh. According to the official introduction, this is a Wi-Fi system that can handle various home environments. To put it simply, the Xiaomi mi router Mesh Suite consists of two routers that are not the same, and can easily solve the seamless coverage of various types of Wi-Fi signals through networking. 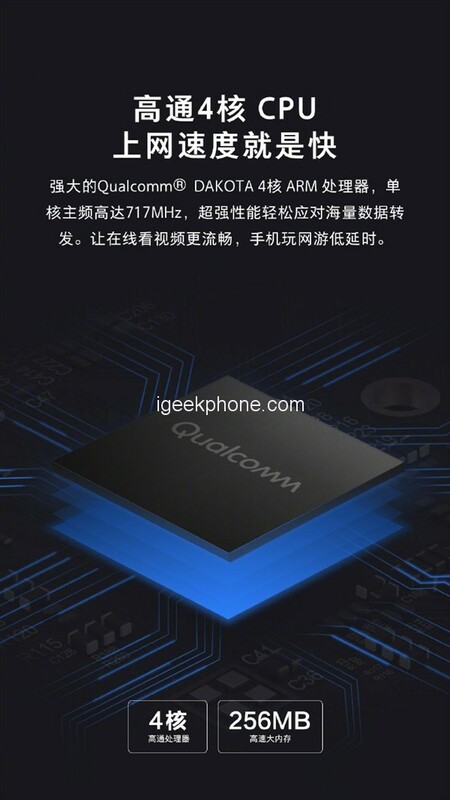 Today, It is reported that the Xiaomi mi router Mesh is equipped with Qualcomm DAKOTA 4-core ARM processor, the single-core frequency reaches 717MHz, which makes the online video more smooth, and the mobile phone play low-latency. 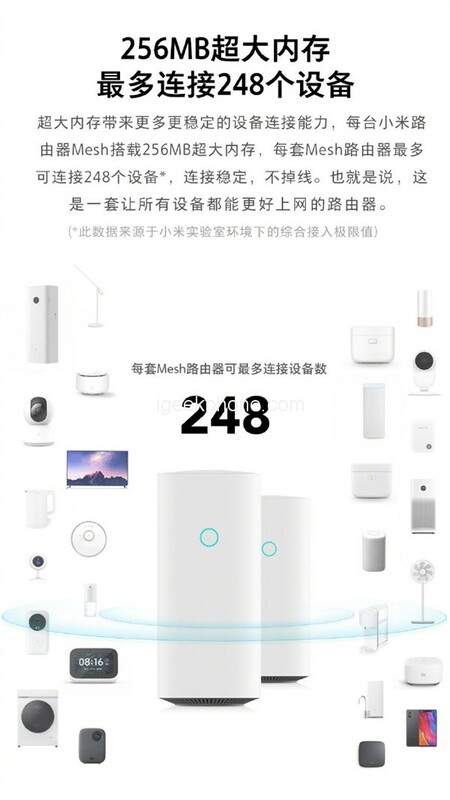 In addition, the Xiaomi mi router Mesh also has built-in 256MB memory, which brings more stable device connection capabilities. Each set of Mesh roads can connect up to 248 devices at a later stage, and the connection is stable and does not drop. It is understood that the Xiaomi mi router Mesh set uses Mesh technology to support four-channel hybrid networking. Mesh routing uses 2.4GHz Wi-Fi, 5GHz Wi-Fi, Gigabit power line, and network cable hybrid networking. The theoretical networking speed is as high as 2567Mbps, with Gigabit Ethernet port, fully releasing carrier bandwidth. In addition, the Xiaomi Mi Router Mesh package is simple to configure, the network port is blindly inserted, and there is no molecular parent route. It adopts the automatic identification technology of the network port and does not need to distinguish the WAN/LAN port. Any network port can be connected to the home network cable to access the Internet. After one network port is plugged into the external network cable, the other network ports are automatically switched to the LAN port mode.